There is one storage box that Mythbusters' Adam Savage loves so much that he uses dozens of them in his workshop to try and stay organized; that box is the T-BOXX from Sortimo. Unfortunately, until now it has been rather difficult trying to locate his storage box of choice. Thankfully, after much anticipation, Sortimo has launched a new online store for the US, something I asked them to do years ago when I first wrote about them. Sortimo, for those of you that don't know, is the maker of the blue stackable toolboxes (L-BOXX) that Bosch uses for some of their tools, or which can be purchased separately for other storage need. Check out the unique way I use them. Anyhow, the storage box Savage uses is called the T-BOXX (T for the transparent lid). It is similar to the storage boxes sold at the local home center that help to organize screws and other small items, but what sets it apart, in my opinion, is the number of individual bin size options. 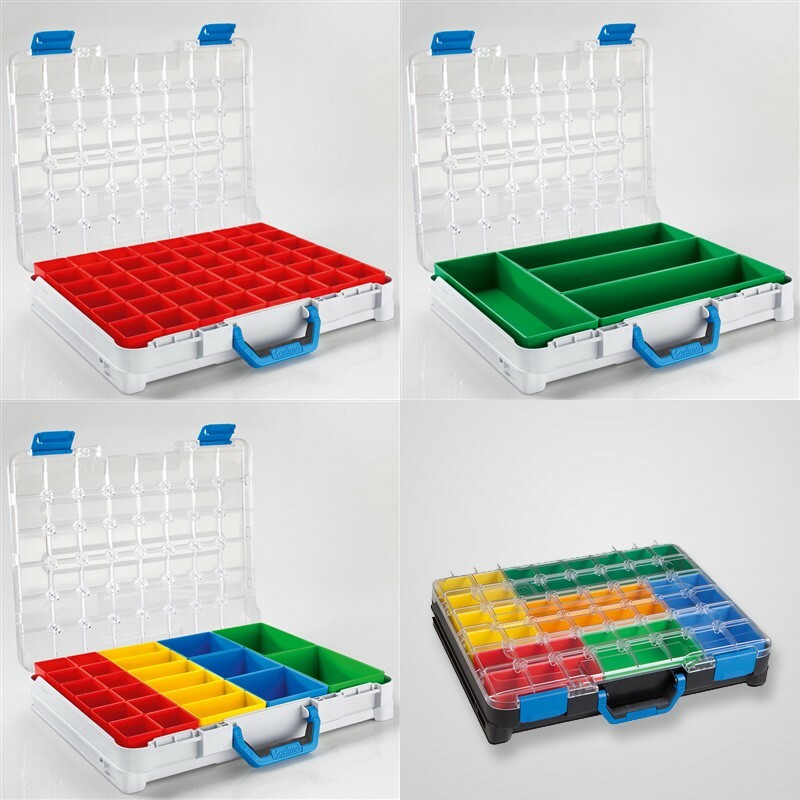 If you need to categorize and customize your small parts organization, the Sortimo T-BOXX seems like the right way to go about doing it. With bin sizes ranging from 2"x2" all the way up to 4"x12", there is not much that you can't organize with the Sortimo T-BOXX system. The Sortimo US Online Store doesn't seem to offer their complete line of products; some missing items include their vehicle organization options or even individual parts bins, but the majority of their organization solutions are available for purchase. 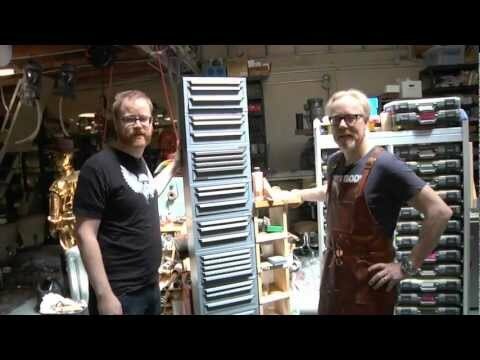 Adam Savage shows off one of the most important parts of his workshop: his tool boxes. Learn why Adam takes so much pride in how he sorts and stores the screws, nuts, washers, bearings, and other parts he uses for his build projects. Organization is beautiful!